The sun warming your skin. The wind caressing your face. And a rare view of the ocean hundreds of meters behind your feet. 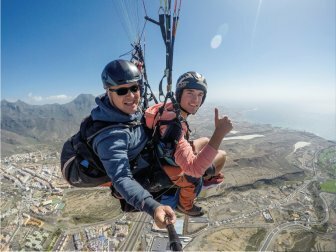 If this sounds like a plan for you, hear our good news: you can now join us in a paragliding tandem flight in Islas Canarias. Adrenaline fanatics are always looking for exciting experiences, especially when they go on holidays. Well, Tenerife can be a relaxing destination for sunbathing and diving… or the place you should visit to touch the clouds while paragliding. 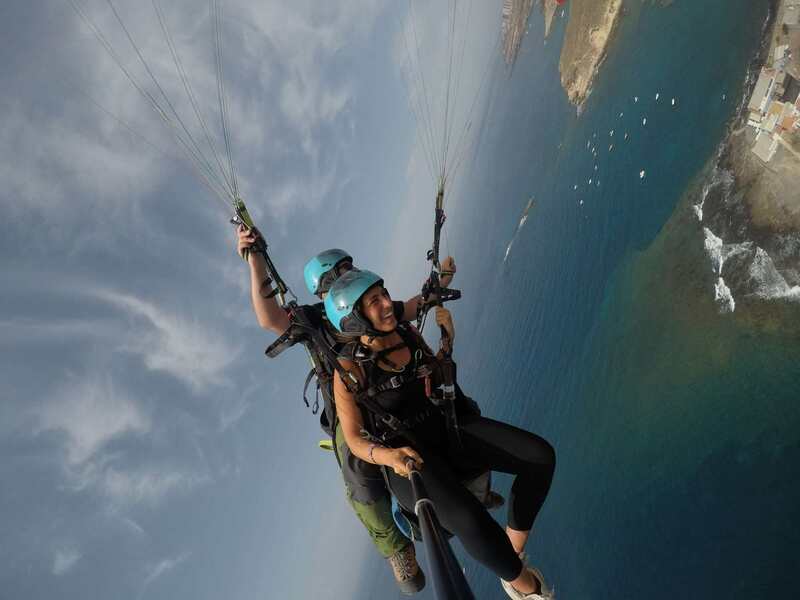 A paragliding tandem flight in Islas Canarias makes one of your craziest dreams come true. Were you told that you can’t fly? Forget about that! The gliding experience will take you as higher as you want to be. Count on Overfly Tenerife to fly over the south of the island. Get to see the most impressive spots, from small towns to a breathtaking volcano. Could you imagine you would do this when you were planning your trip? Do not hesitate and contact us if you need more information about our services. We’ll be here for you! HOW IS A PARAGLIDING TANDEM FLIGHT IN ISLAS CANARIAS? Tandem paragliding is like dreaming… but you are fully awake. An experience like this can turn your regular holidays in an experience you will never forget. It doesn’t matter if you have never been to Spain or if you have visited the country lots of times. If you’re going to paraglide, the best place to start is Tenerife. Let us tell you why: steady warm weather and several kilometers to fly cross country. We must warn you that you won’t have enough. You’ll feel the need to book your next trip and select the island as the final destination. You’ll agree with us as soon as you enjoy your first ride. The best part of counting on Overfly Tenerife is that you don’t have to worry about anything. We will provide you with a helmet, a safety harness and everything you will need for your flight. 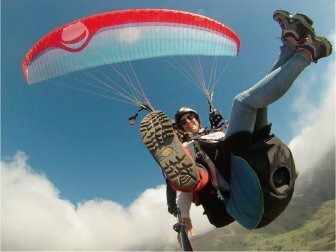 Our instructors will take you to the best locations of the island: Fañabe, Adeje, Teide… The only thing you only have to think about during your paragliding tandem flight in Islas Canarias is the feeling of absolute freedom you get. Maybe you’ve already noticed we are passionate about paragliding. You’re not wrong: we are in love with the skies of Tenerife and we have become addicted to all the good things flying makes us feel. The team of Overfly Tenerife wants to show you why we love paragliding so much. Amazing views, emotion, adrenaline… We are looking forward to showing you how it is like up in the air.